We seek profit for a purpose, not just to maximise returns for shareholders. We aim to make the world a better place. Humanity is living as if we have 1.5 Worlds! We have measured our personal and business impacts and consciously seek to reduce any significant impacts so that we achieve 'one planet living' as soon as possible. 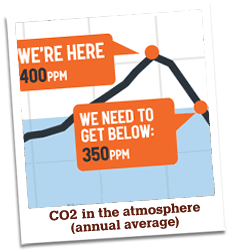 CO2 (carbon dioxide) in the atmosphere stands at roughly 400 ppm (parts per million) and we’re adding 2 ppm every year. We have measured our CO2 emissions are working to reduce any significant impacts in order to return CO2 levels to below 350 ppm this century. Co-operation and partnerships are key to our collective success and survival. We actively seek to work with others who share our vision, values and goals. 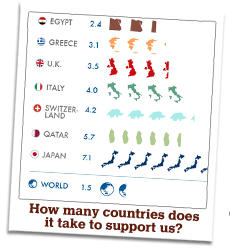 GDP (Gross domestic product) is a grossly inappropriate measure of progress. We encourage alternative measures of progress and active, sociable, meaningful lives to promote good health and well being. Join Elevator now and help make the world a better place.